The Department of Defense has announced the death of a soldier who was supporting Operation Enduring Freedom. Capt. 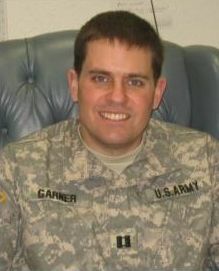 Mark A. Garner, 30, of North Carolina, died July 6 in Argandab District, Afghanistan, of wounds suffered when an improvised explosive device detonated near his vehicle. He was assigned to the 1st Battalion, 4th Infantry Regiment, Joint Multinational Readiness Center, Hohenfels, Germany. He is from Elkin N.C., where in High School, he was a basketball player, baseball player, and active other sports. He was recognized by the Daughters of the American Revolution for the good citizenship award and several academic awards. 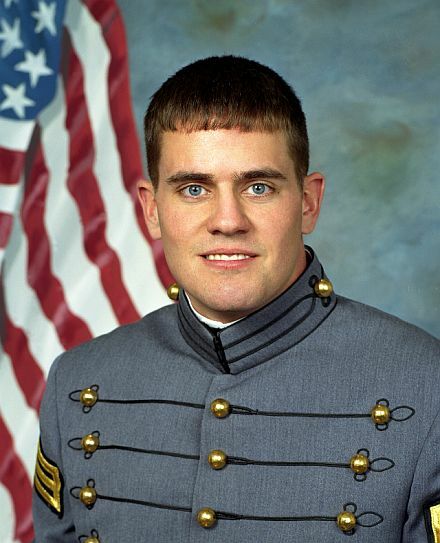 He entered West Point in 1998 and graduated in 2002. He is survived by his wife Nickayla (also from Elkin N.C.), and his parents. A small memorial service will be held in Delaware, and then his body will be brought back to Elkin. Funeral arrangements have not yet been made. 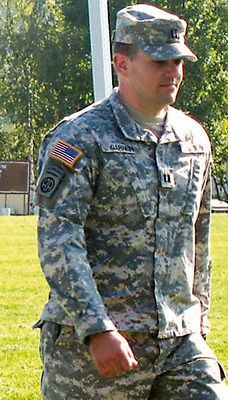 The visitation for Captain Garner will be held on Friday, July 17 at 6:00 pm at First Baptist Church of Elkin [NC]. The funeral will be on Saturday, July 18 at 2:00 pm. A military processional will follow leaving from the church to East Main Street to Hollywood Cemetery. The body will arrive on Wednesday, July 15 from Wilkes Regional Airport and proceed to Elkin.